Microsoft HoloLens has a disappointingly small field of vision - trendistic.com: ever tried. ever failed. no matter. try again. fail again. fail better. 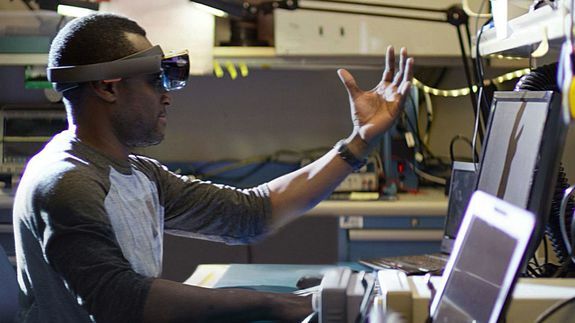 Microsoft HoloLens fulfills our nerdiest Star Wars fantasies, finally making holograms a reality. But as futuristic as the augmented reality headset is, one complaint many people who have tried the headset on (myself included) have is its narrow field of view (FOV). In a new video that highlights how HoloLens can be used to learn about anatomy, Microsoft briefly shows just how narrow the headset’s FOV is — more like a transparent display that floats in front of you as opposed to immersing you in full 360-degrees the way VR headsets like the Oculus Rift do.